With regards to SQ PEY catering, from 1st May onwards, you can pre-select the meals from the main menu (on top of BTC). Aren't there fixed armrests between the seats? Yes, the arm rests are fixed. PE on SQ is mostly over-priced when they try to get away with 2 times or more the price of Y. I would consider buying PE only if the price is 1.2 to 1.3 times over Y. Recently I flew SIN-FRA return on it, and had some miles that were expiring. What I singularly like about them is the 2-3-2 configuration. It allows me to sit window side with my wife (I've a hobby of shooting dusks and dawns), without worrying about having to climb over someone on the aisle seat to get to the toilet. The additional space is nice but not critical to me. The front seating is helpful if I have a tight connection at the destination (the immigration queues can be long). Am booked for PE on JL next month on a red-eye SIN-CTS. It costs only 20% more than Y (i.e. +S$250 return). I think that's pretty good value. But I'll need to confirm it when I get onboard. SIA's PEY are arranged in 2-4-2 seating across and not 2-3-2. However some airlines like JAL, EVA and China Airlines etc on their new aircrafts are 2-3-2 which meant that thier PEY width is wider than that of SQ. Furthermore, the meals served as like for Qantas are better and specific for PEY unlike SQ which are basically same meals as EY. SIA's PEY are arranged in 2-4-2 seating across and not 2-3-2. This is pretty much the same for NZ as well, and NZ’s PE has been rated/voted one of the best in the world. For a start, their seat pitch is 41-42” (I believe SQ’s PE is “only” @ 38”...?). I recently flew with NZ in PE flying AKL-TPE-AKL, as recently as last week (got back to AKL on Sunday). Our PE seats was upgraded using AirPoints, and being FF points upgrades, we only had our upgrades confirmed at the airport. Not a bad thing as we were allocated the front/bulkhead row of PE, which had extra legroom on top of the standard seat pitch. Our flights were on NZ’s 789, which offers 2-3-2 in PE. They also offer different means compared to EY - definitely a step up from EY. Oh, and there is a dedicated toilet for PE - the 789 Code 1 config we were on had 21 PE seats, so yes one toilet for 21 pax’s is probably not too bad.. There are fixed armrests for the PEY window-side 2-seaters, and fixed armrests for the aisle seats in the middle bank of PEY , but the middle bank of 4 PEY seats have armrests that can be raised for the middle 2 seats only. This is the case for both A380 and A350 in SQ PEY. So while you cannot have 4 in a row in PEY, you can at least raise the middle armrests in SQ PEY. A few more pics on the 4 seater middle bank of the A350 in a TR here. The leg rest is useless for me (1.9m). In fact it creates more discomfort for me if I were to place my feet on them. Thank you so much for all your replies! I actually changed my travel plans and I won't go to Christchurch anymore (Costa Rica instead so no SQ but KLM unfortunately). After reading your replies, my thoughts are confirmed. For me, SQ's PE is not worth the upgrade unless the price difference is minimal. 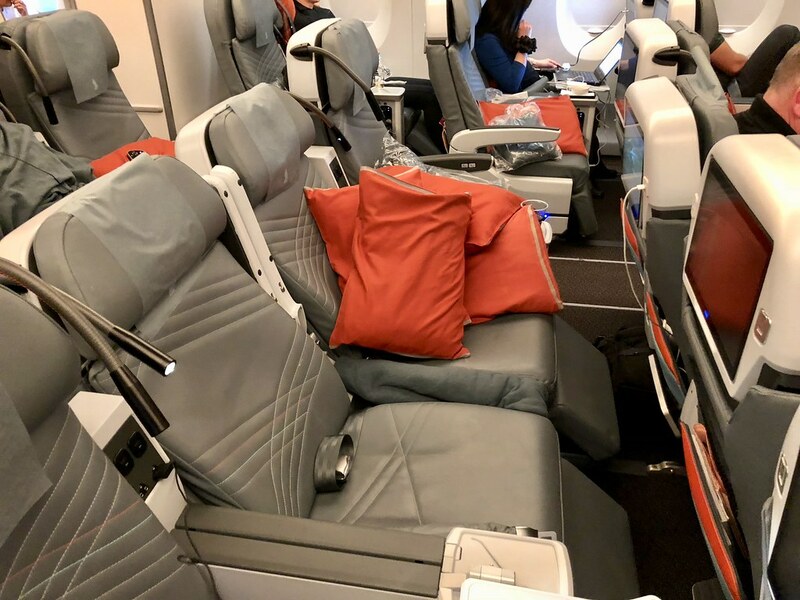 SQ's Y product is already good, meals are basically the same, no dedicated toilets and I think there are airlines with a much better PE product such as China Airlines with its seat configuration in 2-3-2 across on their A350's. 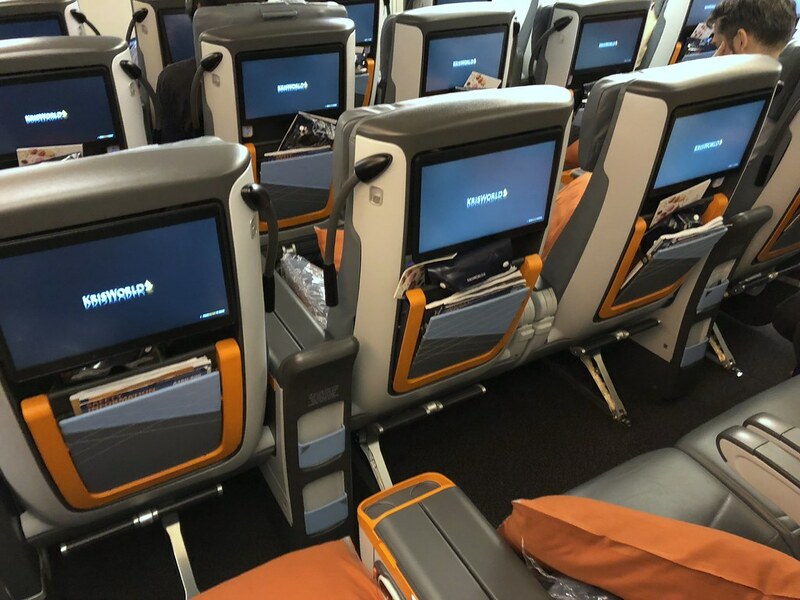 Better to fly Y and save the extra bucks for a business class experience! Last edited by LeisureFlyer; 18th April 2019 at 08:46 PM..
Last edited by flyguy; 20th April 2019 at 10:52 AM..
ex-SIN yes, other place may not necessary. I pay decent PE price for BKK-SIN-HND vv. The same amount of price I can only get discounted eco ex-SIN. it really really isnt worth it. sure, it's quite a bit better than y. but that's all it is, better than y. it's not a baby/budget J.
and when the pey cabin is full, that little bit of extra space dont make any difference, still feels suffocating.